Thank you for your interest in Seahawk. We are proud of what we do and are happy to help you understand who we are and how we got to where we are today. 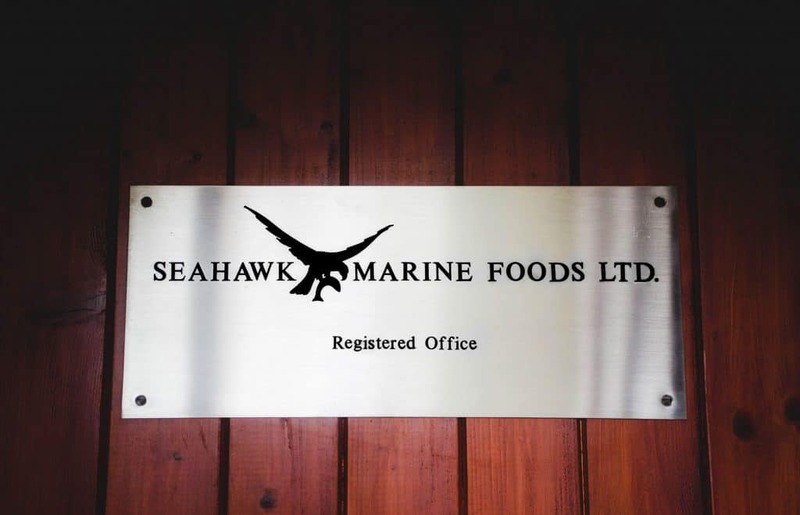 Founded by Derek Golding and Keith Stone in 1982, Seahawk Marine Foods has come a long way since beginning as a small private independent frozen seafood supplier. 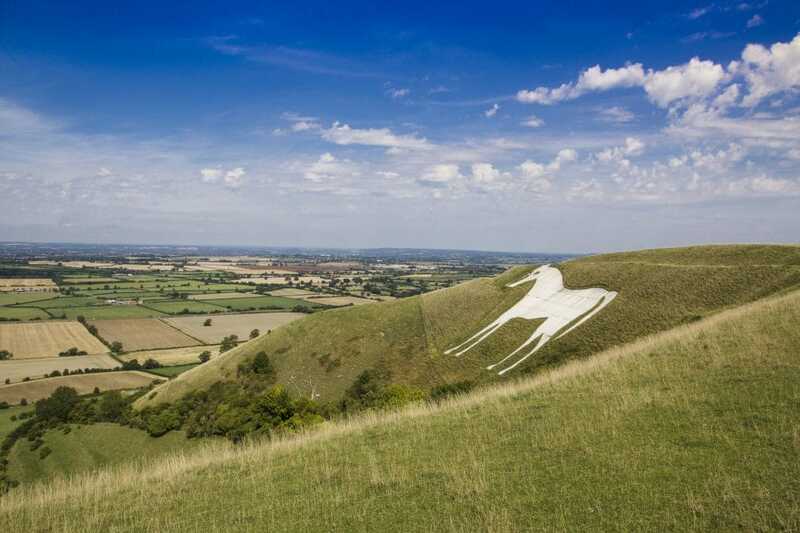 Today with offices in Wiltshire, London, the North and overseas in Vietnam we are well equipped to offer a professional, dedicated first class service to over 800 wholesale and food manufacturers. From our state of the art BRC and MSC accredited cold stores in Grimsby and London we are able to offer our customers over 600 products across multiple brands including both warm and coldwater prawns. Through close relationships with our main cold storage and transport partners, DFDS we are able to offer a delivery schedule to suit your needs. Seen as the national distribution centre for the seafood industry, it was important for Seahawk to secure a position in Grimsby. 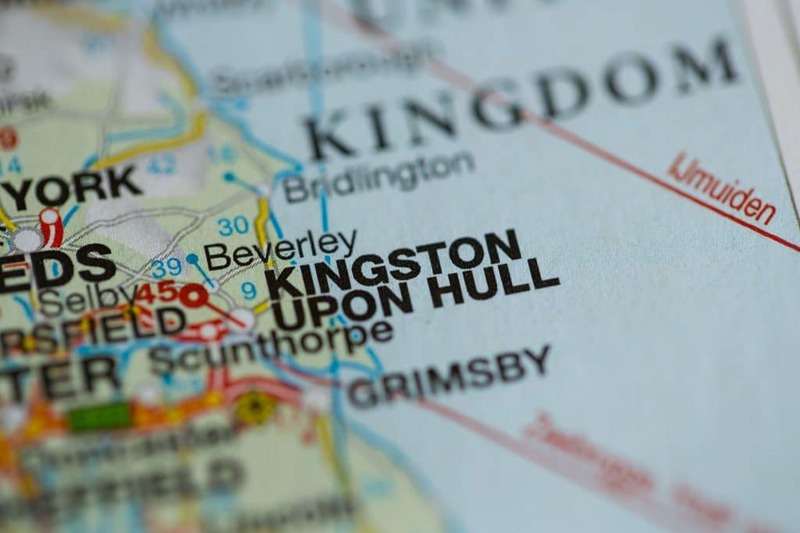 Today our successful Northern office operates in the UK’s City of Culture, Hull. 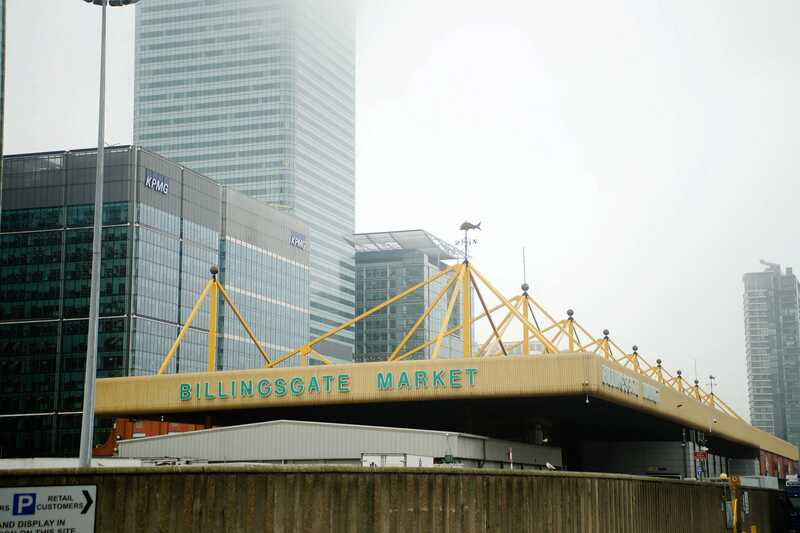 Seahawk has had a presence at the famous Billingsgate fish market since 2007 selling to a loyal wholesale customer base. This continues today with a formidable sales team offering buyers the opportunity to purchase a large selection of frozen fish supplied by the daily arrivals to our cold store. 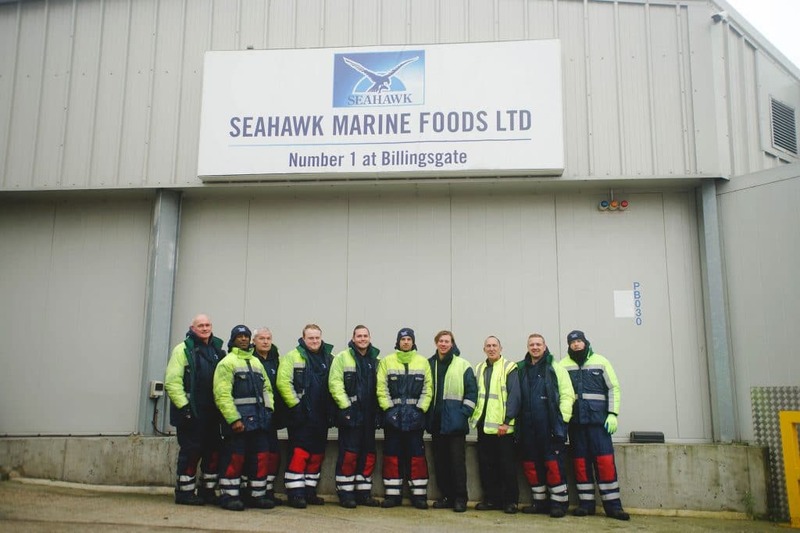 Keen to respond to customer requirements, Seahawk invested in its own state of the art cold storage facility in London’s Billingsgate in 2016. 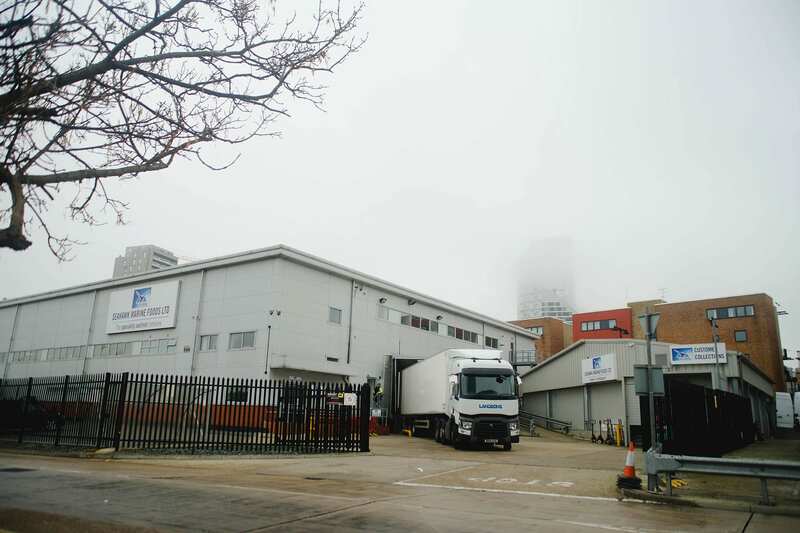 Located in the heart of London it is well placed to serve not only the daily market facility but has enabled Seahawk’s stock holding to increase by 1200 pallets. This site has also allowed us to offer a more frequent and efficient service to all our customers inside the M25. 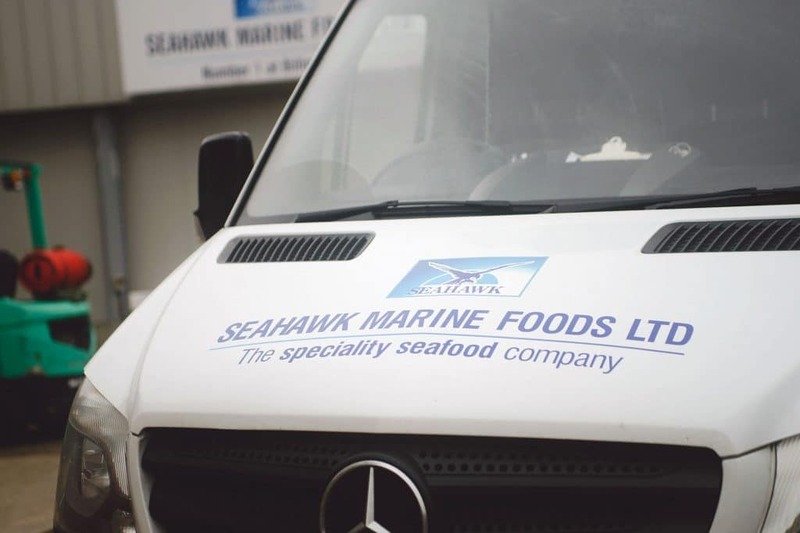 In 2017 Seahawk Marine Foods merged with its sister company Seahawk Marine Foods London to become a stronger and bigger force. Working together as ONE Company has enabled a synergy of strengths at both sites, ultimately leading to a better service for our customer’s country-wide. In an ever-changing world, we are constantly looking at new ways to develop and expand by investing in new systems and experienced personnel. Today we are proud of our total and unchanged independence and of the fact that for the lifetime of the company it has maintained its original ethos of ensuring a high level of service and integrity throughout the many changes within the UK seafood industry.